Joint pain is no longer a condition that is associated only with senior citizens. It is now seen among people in their 30’s and 40’s due to unhealthy lifestyles and nutrition. Joints form the connection between the bones and facilitate support and healthy movement of the body. Any damage to the joints from disease or injury can interfere in movement and cause a lot of pain. Joint pain can affect any part of your body, from the ankles all the way up to your shoulders and neck. The condition is caused due to many reasons and characterized by several conditions, collectively called arthritis. The most common is rheumatoid arthritis, an autoimmune disorder that causes stiffness and pain in the joints. Osteoarthritis involves the growth of bone spur and degeneration of cartilage at a joint and starts with increasing age as bone density decreases. The protective fluid between the joints that acts like a lubricant is no longer seen,which increases the pain.Joint pain may also be caused due to bursitis,the inflammation of bursae or sac lining the joint. There are several conventional treatments available for joint pain, but people looking for an effective and long-term cure find homeopathy an ideal alternative. In advanced cases of joint pain, homeopathy helps improve one’s quality of life and prevent the progress of the condition. It also helps in the regeneration of cartilage and the protective fluid, eliminating joint pain completely. 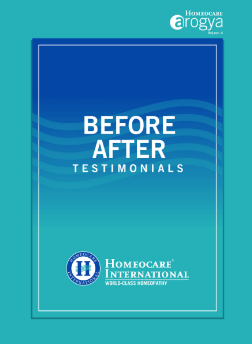 Homeocare International heralds new treatments in our country that offer creative solutions for joint pain.